Coat: Asos. Sweater: Equipment. Jeans: Zara. Boots: Jeffrey Campbell. Necklace: ZAD. Clutch & Sunglasses: Vintage Dior. Lip: Nars Schiap. Nails: Essie Lilacism. Bracelets: Chanel, J.Crew, Forever21. This is me hoping that this is my last coat ensemble of the season. 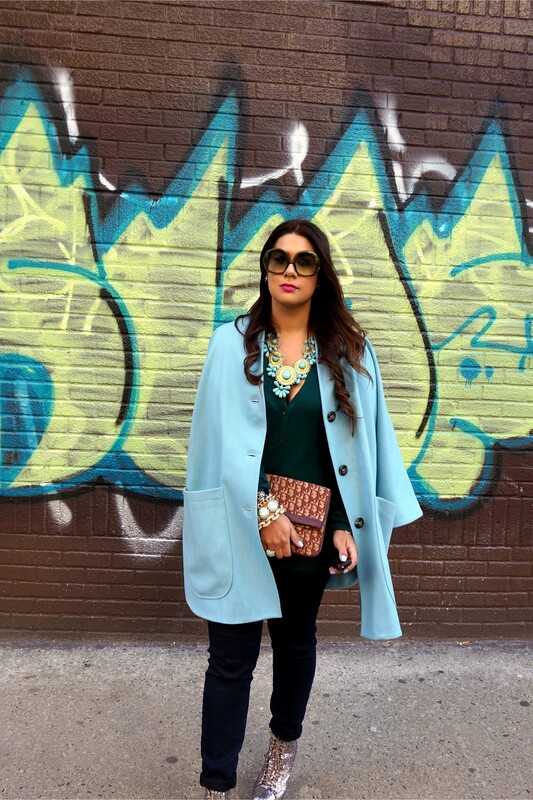 I love cocoon cape coats like these for early spring: warm but not stiffling with a warm weather vibe in pastel blue. I couldn’t resist the chance to wear one of my favorite cashmere sweaters and glitter boots one last time (fingers crossed). Well, till next year. 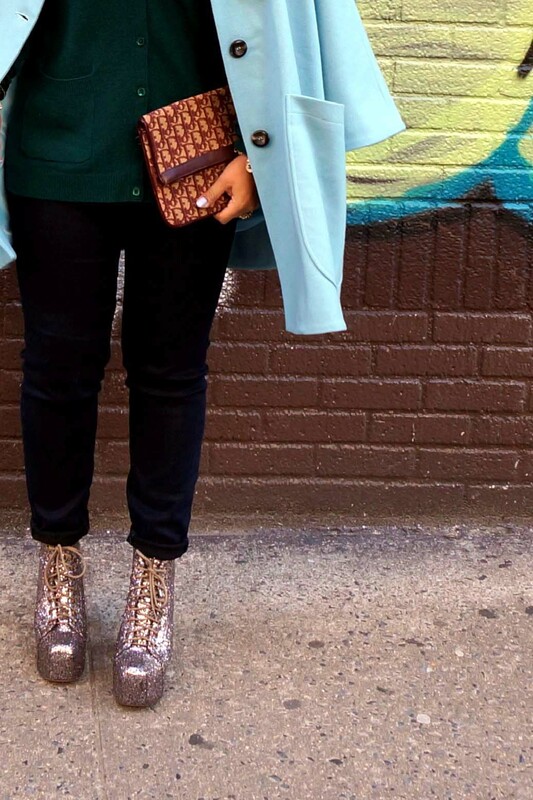 What spring styles are you wearing on these unseasonably cold days?